The recipe for resounding rock tone. 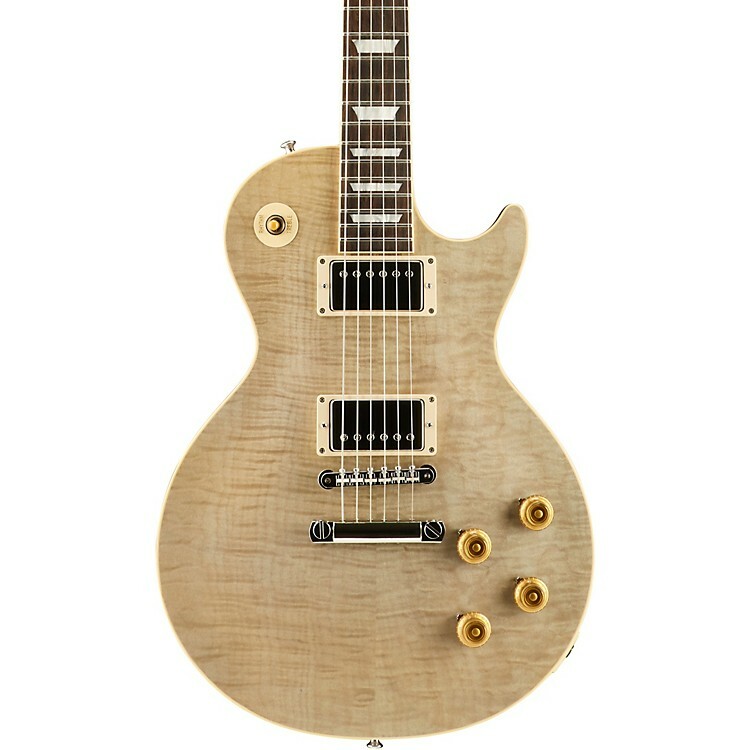 A heavy, hard rock maple top on a lightweight mahogany body can take a Les Paul to new sonic heights. The combination has been a custom-order secret recipe, and this limited run is uniquely constructed with some of the densest Eastern Maple top woods in the world, highlighted by several breathtaking "hard rock" color inspirations. The result is an elegant, historic-spec Les Paul model with one-of-a-kind looks and unforgettable sound. Includes hardshell case. Make your next favorite guitar a Gibson Custom. Order today.